Fundraising update – Envelope count to date €37,600; “Go Fund Me” online appeal, €600, Tydavnet Drama contribution €1,100. We appeal to anyone with an envelope sitting on the mantlepiece or who intended to lodge it in the bank, please do so this week as we are trying to wind up phase 1 this weekend. The fundraising team will be back in Tydavnet Community Centre on Sunday from 10-45 to 11-15am to accept any outstanding contributions. Thanks everyone for an outstanding effort so far. 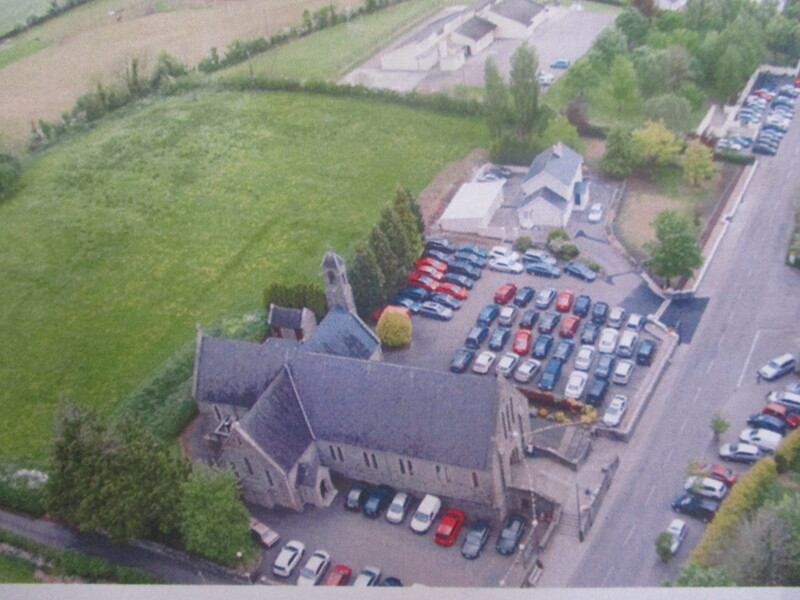 Aerial photo by Darren McCarra shows the need for a car park in the village.